A few months ago, I helped people at a local church sign-up to sponsor children. During the first half of my shift, I got asked a lot of questions. Are there any children with a birthday closer to my kid’s birthday? 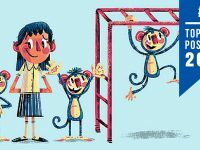 Can I write to my child in Spanish, or do I have to write in English? Can I send my child a Christmas present, or do I have to just send her money? I thought many of the questions were trivial. They made me frustrated. I didn’t think people were grasping the big picture that kids are living in poverty and urgently need help. But as my shift went on, and as I was continually asked these types of questions, I realized the questions weren’t trivial at all. In fact, these type of questions were the most important questions that can be asked. Because sponsoring a child is not about setting up an automatic withdrawal. It is about building a relationship. And in a relationship, the small things matter. In a relationship, birthdays matter. And communication matters. And gifts matter. For the rest of my shift, I told people how they could have a relationship with a child. And people responded! More than 110 children were sponsored that morning. But the relational aspect of sponsorship is not just important in getting people to sign up. It is also important throughout the sponsorship journey, because love is best shown in a relational context. And love is what our world needs more than money. You can do this online, through the Compassion App or by snail mail. Tell your child about your life. Be personal, sincere and informative. Steady, two-way conversation is the first step to developing a great relationship. 2. Make special occasions special. Make sure you do something special for his or her birthday or Christmas. Compassion makes this really easy because they remind you when special occasions are coming up, and give you plenty of options for what you can do. Take advantage of these special times to show you care. If you pray for the child or teen you sponsor a lot, you will begin to care for him or her more. You will begin to care about whether or not he or she had a good day. Or is feeling sad. Or is making good friends. Praying will build a desire for a more personal and intimate relationship with your child. I realize that visiting the child you sponsor might not be financially possible. One way to overcome the financial obstacle is to find a short-term mission trip going to a place near his or her child development center, and raise support. Ask your friends and family members to donate money to cover the cost of your trip. Compassion may only be able to arrange an afternoon visit with him or her, as you will primarily be doing the tasks of the mission trip, but your relationship will be taken to a very real, tangible level. 5. Tell your sponsorship stories. When people are important to you, you talk about them. Talk about the child you sponsor with other people and encourage others to get involved in the sponsorship story. This will make your sponsorship experience come alive and matter in your present life. It will help bridge the gap of distance. These are a few ideas how to build a relationship with the child you’re investing in. If you can’t do all of these, start with just one and see what a difference it makes. Do you have other ideas on how to build a relationship with child you sponsor? I would love for you to share them in the comments! ABOUT THE AUTHOR: Joshua Lancette is the Managing Editor of an international academic journal and lives in Denver, Colorado. You can read his blog on life and language or follow him on Twitter. This was originally published on June 24th, 2012. 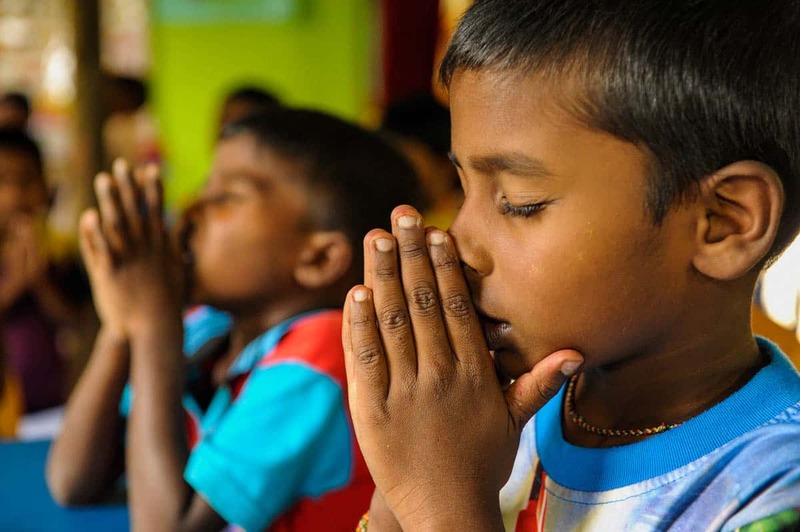 I am concerned after learning over a month ago that the country of India is currently not allowing Compassion funds to be disbursed to the child centers. Although I understand that despite this, support for the children continues, I would appreciate some update on the status of this situation. I was told when I called the 800 number for Compassion (and spoke with someone who unfortunately was quite difficult to understand) that a letter would be coming toward the end of July, but I haven’t received anything yet. I appreciate any assistance you can offer. Margaret, I am so sorry for the concern and that you were unable to understand the representative you spoke with when you called. We definitely were trying to reach out to you and share an update! We actually sent out an email or letter update on Friday regarding the situation in India. Regrettably, it is important for the safety of our staff and children to be careful about how much we discuss this sensitive issue on Social Media. Please email us at socialmedia@compassion.com if you did not receive the most recent update or if you have any further questions or concerns. Hello am I worrying needlessly that after well over a month my letters to my child are still in translation? I know that my child’s language isnt a global language and there are probably few translators, but I dont want my child to think she is not in my thoughts and prayers. I am very new to this so if the Compassion reps tell me that a month or two is the norm I will relax and continue writing. Thank you. Hi MJ! Thank you so much for the concern and love you have for your sweet girl, Meskerem! We are currently going through a transition to our new, faster letter system. As we go through the transition, sponsor letters can take up to two or three months to be processed and delivered to the children, which is how long is had historically taken. Once the new system is running efficiently, you should see the processing time speed up:). Thank you Sarah for the quick response. Now that I know that this is the norm I will keep writing and eventually my sponsored child will receive my letters. Yes she is quite special and it will be a very special day when I hear back from her. God bless you Sarah. I sponsor two children, can I send letters/stickers to both in one physical envelope as long as everything is clearly labelled as far as which child it belongs to? Or should I mail them separately? Absolutely, Kate! Having things clearly labelled with the child’s number and your number will help us figure out what goes to each child. Thank you so much for choosing to engage with your children on a personal and encouraging level with your letters and happy stickers! You are more than welcome to write to your child in Spanish (if your child is from a Spanish speaking country). However, we will still have our translators take a look at the letter to make sure it reads well and matches the local dialect. My correspondence with my child has ben sporatic, at best. But I’ve recently been reminded to write more often. Now that I’ve read the above posts and how meaningful the letters are to the child, I want to be more intentional. Thanks for the encouragement! My wife and I began a sponsorship with Henry this past November on his 7th birthday! This past June while on a mission trip to the D.R. I had the opportunity to spend the day with Henry thanks to Compassion International. Arrangements were made for members of our mission team to meet their sponsored children (7 in all) and it was an INCREDIBLE experience!!! Not only did I get to meet Henry but I met his mom an school teacher as well. Compassion provides an interpreter…and words cannot express how thankful I am for the opportunity to meet Henry. As the article states…I believe our relationship went to a new level. They are so appreciative because realize the cost factor…and that you would travel all this way to meet them. And to hear the mom say how meaningful the sponsorship is…and to hear her say that they are praying for ME and my family is HUMBLING BEYOND WORDS! Thank you Compassion for giving our family the opportunity to be a part of Henry’s life! Another thing I do ,is I usually send a small packet ,in each of my letters and stuff for my child, and ask her to give that packet to someone who does not receive letters, and I tell her all about how God loves it when we share, and put in a little lesson on sharing. How it makes them feel good, but it makes us feel good when we share,and it makes God pleased with us. I do that alot, its the same stuff I give her, only smaller scale due to packaging. try it! If we all try that , none will go without!!!! Hi Robin! Thank you so much for your heart for this ministry and for the love you have for your child! We appreciate your desire to bless your kiddo in a very tangible way. Regrettably, we are not able to send packages to your child. When this blog was first published, the guidelines for mailed items were very different. Regrettably, they are different now for a couple of reasons. Everything we send to our country offices is declared at a customs as a document. If custom officials find anything in a box of letters that isn’t a document, we are assessed a hefty fine and the box will be held for weeks, possibly months. Sadly, there is also a high incidence of theft when sending packages to the developing world, and shipping items overseas can be quite costly. Instead we encourage you to send a monetary gift. The child and family, with the assistance of church staff, will purchase what they need most. This also benefits the local economy of your sponsored child by supporting local businesses. There are other fun ways to bless your kiddo too! Along with a personal letter, you can send: stickers, bookmarks, musical greeting cards, and pop-up cards. 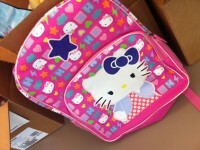 These items will be physically delivered to your child. Please keep in mind that items sent without a personal letter will not be delivered to your sponsored child. You can also send: letters, photos, postcards, greeting cards, coloring pages and paper crafts. However, your child will not receive the original items. The items will be scanned and sent electronically. The total number of items (including stationery and the letter to your child) should not be more than six sheets, and each flat paper gift item should not be larger than 8.5” x 11”. If you have any further questions about our letter writing guidelines, more information is available here. Thank you so much for blessing your sweet child with your love and support! Have a blessed day! I am a new sponsor and will be writing my first letter. I am very excited about building a relationship with her. I noticed on another post that packages can be sent. How can I do this? What kind of things would I send? I love the idea of sending several things for my child to share. Looking forward to hearing back. I will be sending my initial letter today. Wendy, welcome to Compassion! Thank you so much for choosing to love and support a child in poverty! Actually, packages cannot be sent. I apologize for the misinformation. We are able to send up to six sheets of paper letters, coloring pages, greeting cards, and fun printables that are 8 1/2″ by 11.” We will also mail stickers, pop-up and musical cards, and bookmarks. Please feel free to send any of the above items that I have mentioned and write your child’s name and number on each individual item. You may send these items to: Compassion International, Colorado Springs, CO 80997-0004. That’s a nice idea, Jean, to send packets for children who do not hear from their sponsors! 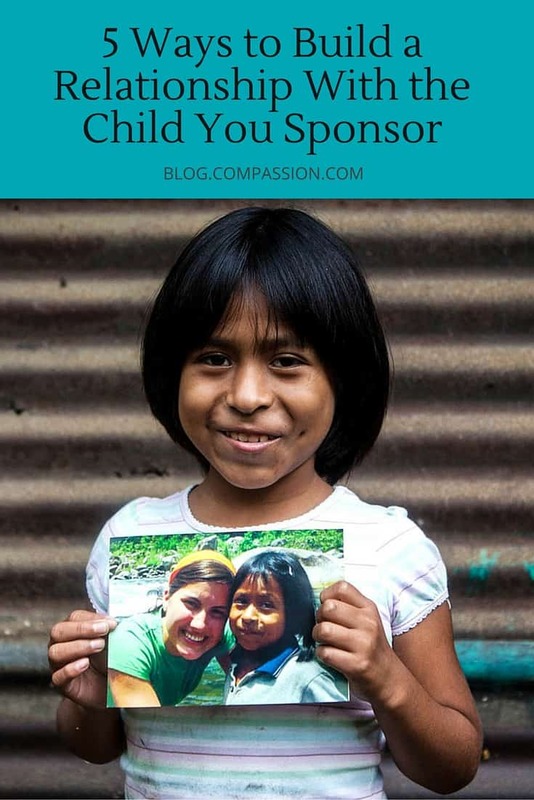 I’m not sure if I will ever try that, but I know that my sponsored child has a younger sister. I think I will plan to send a little something for her, too, every once in a while–especially since I don’t believe she is registered in the Compassion program herself! Thanks for making me think of that! I really like to save postage stamps off our mail to send to my child. It’s fun for me–there are a lot of pretty stamps out there–and I think it’s a neat collection for my child. I like to include doubles, hoping that she might share with other kids. I also write informational tidbits on the back of the stamps to explain what they say or show. Regarding the blog post: I speak Spanish, so I write my Central American child in Spanish. I have never in my 3 years of sponsorship received any feedback that it was a problem. I believe that it helps my child and me to communicate better. I am not sure that my letters are received any faster since they do not require as much time in translation (which they probably must pass through for proofreading and content check). Also, her letters do not reach me any faster. I have told Compassion that I do not need my letters from her translated into English, but understandably it is easier for Compassion to send all letters into translation as opposed to separating my child’s letters out to “skip” translation. I don’t mind. It is 100%” worth it” to me to form a bond with my child communicating in a language we share. I’m so grateful for the way Compassion is the bridge that lets me share my heart and love with my “little sister,” who otherwise could have slipped under the radar of poverty (and certainly would have slipped under my radar)! I have been a sponsor for over 6 years and I have found that the kids that i build the best relationship with are the ones that live in the reciprocol letter countries, the ones where when you ask a question or tell them something special they acknowledge it in the next letter, there is one girl that I have had for 6 years and she still hasn’t answered a question I asked about a year ago, but I keep her because she does write interesting letters and I don’t want to abandon her, then also I think it depends on who is writing the letter for the child, some of the translators answer every question, some just write a quick note. The ones that can write their own letters usually answer my questions. I know that Compassion is doing all they can to build relationship between the sponsors and the sponsored. It is blessing enough just to know that these little ones are being taken care of. I love the little girl that I sponsor and look forward to being able to sponsor more in the future. 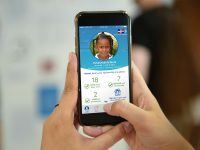 Are there any plans in the future to be able to communicate directly with your sponsor child by email?. (I’m talking about direct email with the program office where the sponsor child attends in my case in the Philippines). Do some of the program offices have computer with email where we could someday email a staff member. With the delay of written correspondence between the sponsor and the child it is difficult to have a flowing conversation. I love compassion!!! I always wanted to help kids my age in poor countries, and now I get to do it!!! I’m eleven years old, and some people might think it’s hard for me to make $38.00 every month, and sometimes it is, but as long as I know that Non will be very grateful and will love me more, I’m willing to work and send money to him! Can you explain why it takes so long to get a letter from my child. I know the letters have to be interpreted, but it usually takes around four months from when it is written to when I receive it. That just seems an excessive amount of time, and it also makes it difficult to carry on a letter conversation because of the long time between the letters. I received one last week and another one yesterday and one was written the first day of March. I would appreciate your response so that I can better understand this problem. Hey Barbara! When you mail a letter to your sponsored child, we receive it in Colorado Springs and sort it according to country. We make sure anything that you send (stickers, etc.) will not get stuck in customs. The letters are shipped to the country office every Thursday. Shipping can take a few days to a few weeks, depending on the country. Once the letters are received in the country office, they are given to translators. After the letters are translated, they are sorted by project and placed in the projects bin in the country office. As the project staff is able, they pick up the letters from the country office. Some projects that are located close to the office will pick up letters once a week, others that are hundred of miles from the office will only pick up letters once a month. We’ve literally had letters travel on planes and donkeys to reach some of our more remote projects. The next time your child attends the program, they will receive your letter. Their letter takes a similar path back to reach you in the US. Letters normally take 2-3 months to reach you, but can be delayed due to disasters, mailing issues, etc. I think it will give you some insight into what steps are done and why things take longer than a week or two. Some projects are close to the country office and can pick up letters frequently (or get them mailed I imagine for large countries). But, other projects are more remote in that they are not accessible by car, and therefore, it takes longer for letters to get back and forth. My letters from Brazil used to take about 3-4 months and now they are taking about 5-9 weeks, which is a huge improvement. Thank you so much for this. We sometimes forget the little things in life and that big things sometimes take time to become big. 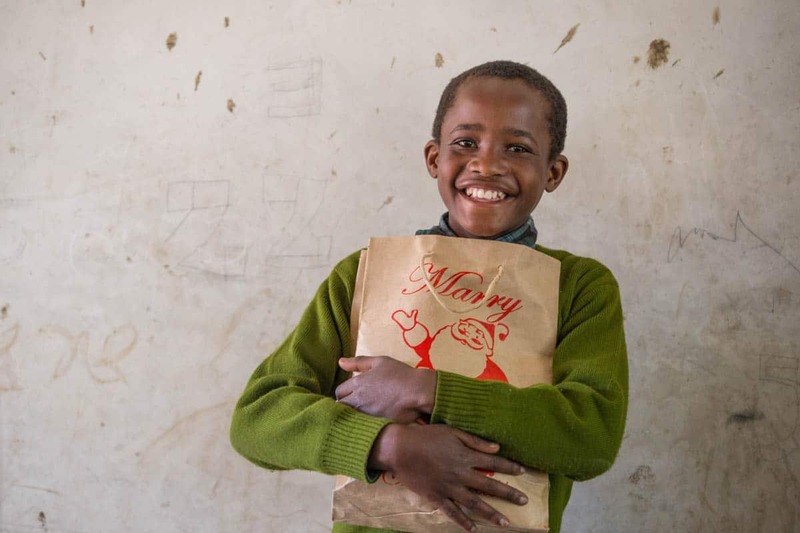 What we think of as a mere letter can be the one thing your sponsored child turns to when they need comfort and solace. I too am glad that Compassion is revamping their letter writing process. This will help tremendously! Hey Jacki! No need to worry about sending stamps or extra donations for shipping. We have negotiated very competitive shipping rates and ship in bulk so that correspondence between you and your sponsored child is not a burden. This cost is not incurred by the project, but is part of Compassion’s ministry. Great post, but I’m still a frustrated sponsor. After some 20+ letters to my child, even asking many times specifically for him to answer any question or make any reference to one of my letters, I have received zero indication that my child has ever received one of my letters. I receive about 3 letters per year from him and they’re all generic… greetings, thank you, bible verse. I’m at the end of my rope and considering looking for a better way to make an impact. Me too, but keep doing it. It’s still important- it does make a difference. I lived in Zaire, Africa for 2 years (24 years ago.) Conditions for the poor are even worst today, and any form of encouragement is always appreciated, even though there is no feed back. Stick to it! Tag, I’ve found that it helps to highlight your questions in your letters and limit questions to 1-3 at a time. When letter writing time comes the tutor will help them to answer the questions you have. Some kids are better at writing than others, but the quality of your letters may improve. I’m sorry to hear you’re frustrated with correspondence from your child. 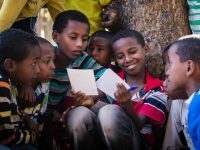 We are working to improve our correspondence process, and you can read about the changes we’re implementing here: https://blog.compassion.com/changes-to-our-letter-writing-process/ I hope you see an improvement in the quality of letters from your sponsored child over the coming years. I believe it is important for us all to remember as we sponsor and write to our children, scripture tells us we may not see the fruits of our labors. We are to give, with no expectations of a return in this life. Our rewards will be given in heaven. If God has lead us to be sponsors, we must have faith. Please do not be discouraged, but press on in obedience to His calling. 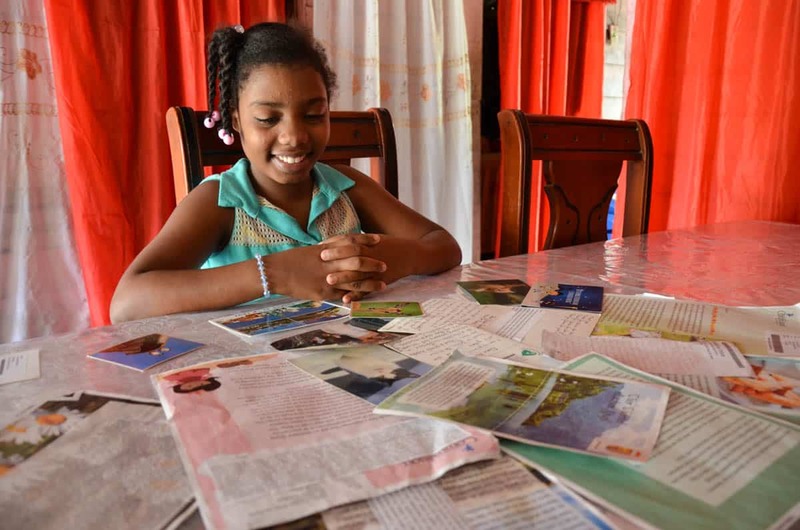 I’ve never understood why some people do not take the time to write to their sponsored child… because it’s an amazing feeling to know that each time we write a letter we are reminding a child that they are loved, valued, and important. 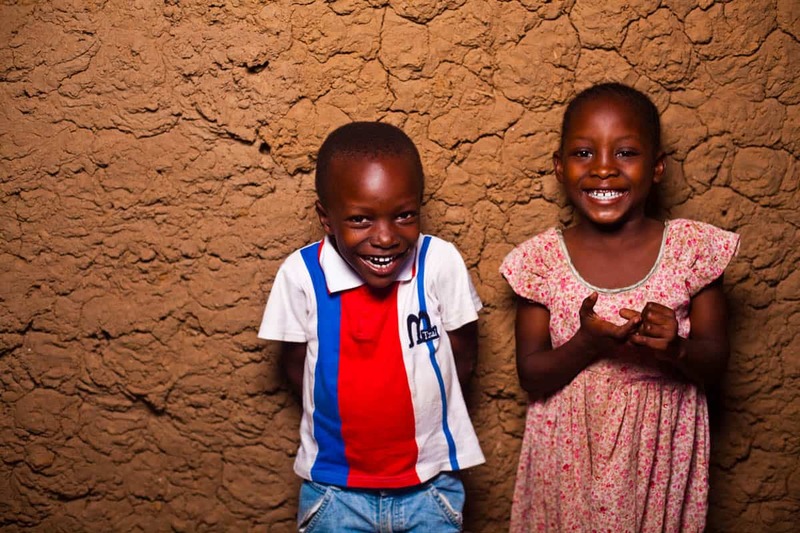 Even the simplest of letters can mean the world to children. 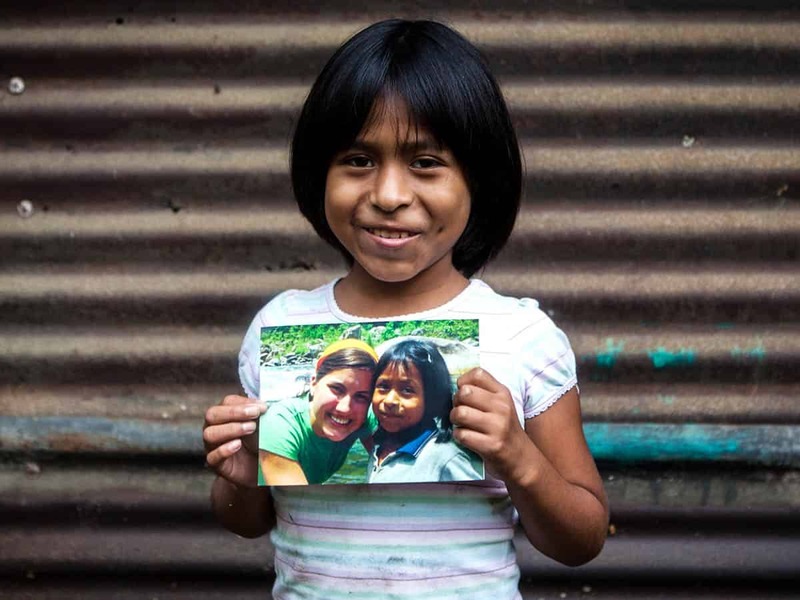 When I was in Peru, Compassion staff continually told me how much letters were valued by sponsored children– they were eagerly awaited and considered extremely important. Compassion makes the writing process very simple online now! Even though the response from all of our (5) sponsored children hasn’t been the same, I’ve realized that their letter writing depends somewhat upon the assistance they get at their Compassion facility. But, after reading several things about how the children treasure their letters, and how they go back years later (when they are older children) to read letters sent to them when they were younger (even though someone else read it to them then). I can’t help but write to them. Once a month is not much to ask, but to think that such a small gesture means so much to them is humbling. One thing Compassion sponsorship has done for me is to make me so aware of the myriad blessings that my family takes for granted. My heart soars at the thought that my simple (in my mind) letters can profoundly change a child’s life. It is truly a miracle. It really matters because you see in a every child the smile in their face if they received the gift even it is small and simple way. Yes, write. Yes, send photos. Yes, use words of encouragement and love. These are the seeds we plant into young lives miles away. Bless you for being faithful to the duty of sharing hope with these children. For me, the one thing that determines how close I feel to my children is how much time I spend praying for them. I write to children of all ages and almost all Compassion countries so there is vast variance in letters and level of relationship. And I give gifts as I can. But nothing makes me love them more or feel as close to them as I do as when I spend some serious time with God praying from them individually, by name, and for their families too. Gail, you are right on. The love you “feel” is the Lord filling you with His love for your kids. After all He’s the reason we are in the lives of these children. I’m sure when we pray for our kids, He’s anxious for us to love them as He does….We have such a loving and caring God. I have been a sponsor for 1 year. I sponsor 14 children and write to 2 additional. They range in age from 5 to 19, most in the 11 to 16 years. They live in 9 countries in Africa and Asia. I write once a month to each child. Here’s the big thing I’ve learned so far: you really CAN’T CONTROL how the relationship is going to go. I’ve had a wide variety of responses from my kids, both quantity and quality. Some I feel extremely close to, others I barely know. I keep writing them all, keep sending gifts, keep praying. I wrestle with the feelings of wanting a fair return for what I send. I’m learning how to be faithful, in spite of sometimes feeling disappointed. Other times I’m elated with a photo or letter. I agree with you, Ginger. I have been a sponsor for a year too. My one girl I have gotten to know pretty well. But, I still hardly know anything about some of my other kids. Even though our “kids” may not get the whole idea of writing letters, I know that they are blessed by ours. This post is awesome though! Ginger, I have experienced the same. Out of our 12 children, some feel like I know them so well and some are nearly strangers. I do wish I knew more about some, but I keep writing faithfully knowing that God knows what He was doing when he matched us with our beloved Compassion family. Thank you for being faithful in your writing! You are 100% right in that the number one way to make the most of sponsorship is to WRITE! What an opportunity we have to minster to these children and, in turn, be ministered to! When I work Compassion events, I tell every potential sponsor I come in contact with how very important those letters are. Yes, the financial contribution is necessary to fund the program, but our letters are a true treasure to the children in the program. I hope that every sponsor will learn of this importance and make the commitment to write to their child at least once a month. My blog has several posts with letter writing topics and tips, too. Thanks for sharing this important message!